Looking to add more space to your Brighton Home without having to move houses? In search of the ultimate loft conversion solution in Brighton? Do you need the services of a loft conversion specialist to oversee your project? Milosh Loft Conversion is a Brighton based loft conversion specialist company with over twenty years’ experience. We are the go to company for homeowners in Brighton who want to convert their loft, garage or take on a kitchen extension project. Our success is founded on a highly personalised customer service. Each client and prospective client is treated as a VIP guest. Our only goal is to enrich your Brighton home with a quality loft conversion that fulfils your dreams without overreaching your budget. Whether it’s a master’s bedroom with ensuite bathroom, a children’s playroom, a bedroom for your growing teenager, a home office, an entertainment room or extra bathroom, we’ve got you covered. Our RIBA certified architects and master builders are waiting to hear from you. We can take care of your project from the planning, design and building stages. We even go as far as handling building regulations, local permits and party wall agreements on your behalf. Every loft conversion is different as each client has their own unique preferences, needs and circumstances. Quality craftsmanship is at the heart of all our work. You have our full attention and your work will be prioritised for the duration of the project until completion. For homeowners in Brighton looking to put their lofts and attics to use, Milosh Loft Conversions create beautiful lofts. Our professional contractors have obtained accreditations from the Contractors Health and Safety Assessment Scheme (CHAS) and we are part of the IWA scheme which has a 10 year insurance backed guarantee. The type of loft conversion we create is based on your home’s location, layout, style and your preference. 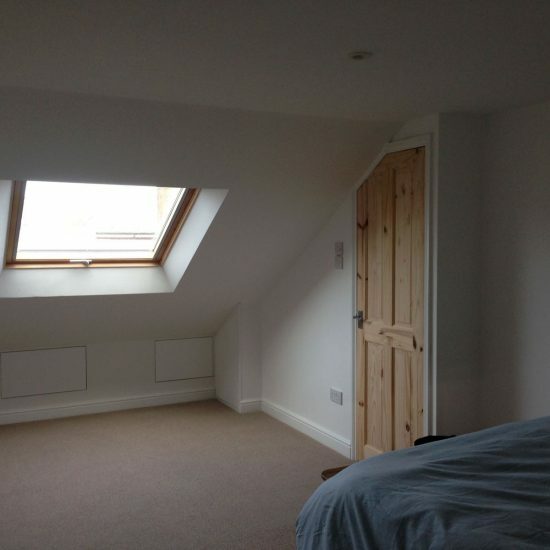 We guarantee a loft conversion that makes the most of the existing space, allows more natural sunlight, blocks outside noise and is aesthetically pleasing to fit planning regulations and your needs for the loft. 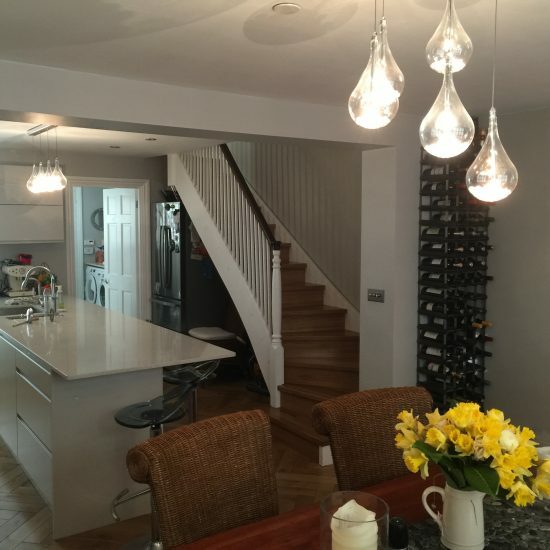 We have provided hundreds of homeowners in Brighton, Worthing, West Sussex, Hove and the surrounding areas with satisfactory work they are proud of. Our clients are always happy to give us high recommendations because of the high quality work we do. A dormer loft conversion provides greater internal height and space by reshaping the roof. It is a structural extension that projects vertically from a sloping roof’s plane. The creation of additional floor space and headroom bathes the loft in the natural sunlight provided by dormer windows. In the UK, the simple flat roof dormer is the most popular type of dormer loft conversion. It is also the cheapest and easiest to build. A shed dormer also includes a flat single planed roof but it slopes downward at a shallower angle than the main roof. A gable fronted dormer is an attractive option that includes a gable wall extension built to the existing ridgeline and a new roof section built to the new gable end. Other options for dormer loft conversions include arched dormer, hipped dormer, eyebrow dormer and pedimented dormer. The benefits of a dormer loft conversion are that it offers more floor space in a loft conversion than other types of loft conversion. A flat roof dormer is inexpensive to install and increases the flat ceiling, straight wall and headroom. With this range of options, you’re certain to find an option that fits your Brighton home. Hip to gable loft conversions has become popular to create additional room in a home lacking space. It is mostly used on Brighton properties that have a hipped roof and a sloping side. The loft space is limited and makes it difficult to construct a new loft without extending your property. With a hip to gable loft conversion, the sloping roof is replaced with a vertical wall of the same height as the ridge with space in between. The additional space is large enough for a play area, office or lounge. When choosing this option, ensure that the roof is of adequate height between the ceiling joists and the top ridge to allow for sufficient living space. It is also not advisable for mid-terraced Brighton homes because the roof doesn’t have a hip-end. Also known as rooflight loft conversion, this type of project doesn’t require altering the roofline. It is a cheap and simple solution for extra space. It is also ideal for lofts that have sufficient headroom. When compared to other options such as hip to gable, dormer and mansard, Velux loft conversion is not as disruptive and requires less construction. There are no structural changes so, in most cases, you won’t need planning permission. You only need planning permission if you live in a designated area. 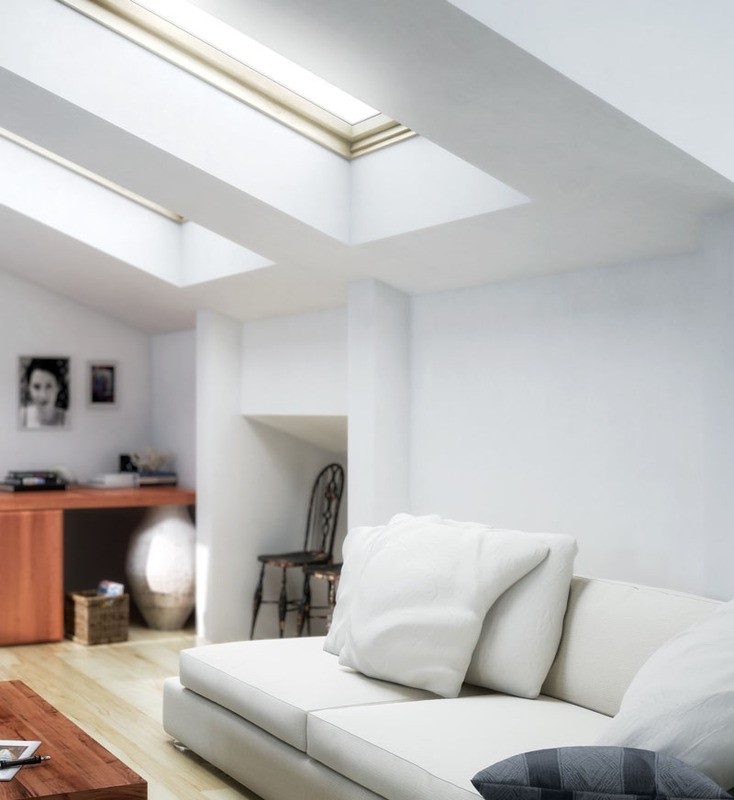 An advantage of a Velux window is that it provides lots of ventilation and natural light in your loft conversion, without affecting your privacy. It works best for bathrooms, offices and bedrooms. Milosh Loft Conversion offers a wide range of Velux windows. Some of them are not just functional but feature automatic opening and closing. They also include a rain sensor. This means that they close when they sense that it will rain. If you live in an urban or noisy area, you can reduce noise by 50% with sound insulation. This loft conversion is complex, more expensive and requires more construction than other loft conversions. However, the result is worth it with the amount of livable space created. It is usually found at the rear of a property where the loft conversion changes the sloping side into an almost vertical side. Mansard loft conversion requires significant changes to the structure of your Brighton home. You will need planning permission to carry out a mansard loft conversion. It is usually found in urban areas such as London. For aesthetics, the external walls could be rendered and exposed brickwork clad with tile or slate. The additional space in a mansard loft conversion is 10 times the space from a dormer loft conversion. The windows are constructed as small dormers, making it more attractive and the walls on either side of the loft conversion are raised in brickwork to match other parts of your Brighton property. This is similar to a traditional mansard but with a mansard to the front. You benefit from a large square space because the two sides of the roof will be opened with a mansard on either side. There is a structural change to the roof, so you will require planning permission to get it done. A major problem that Do It Yourselfers face with loft conversion is the structural work required to complete the job. It makes it tricky and expensive to complete. If you’re good with handyman jobs, but you know that you need help with complex areas, Milosh Loft Conversion can take care of the tricky aspects while you handle the easy ones. It is ideal for Brighton homeowners working on a limited budget. 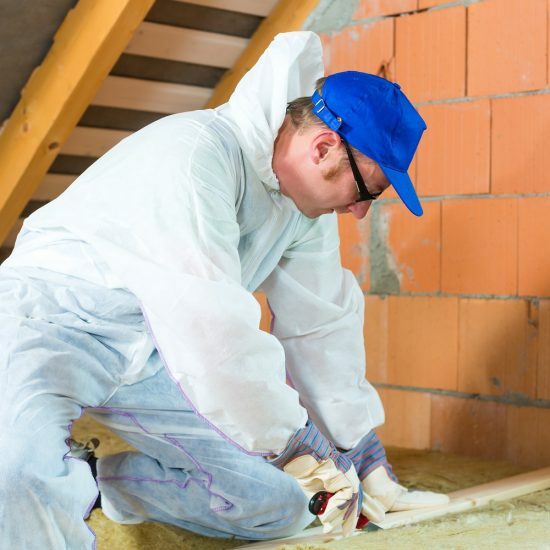 We carry out the structural work such as the installation of new floors, dormers and joists. You take care of finishes and interior design. When we finish our part you can either outsource to a tradesman of your choice or complete the work yourself. Considered by many as one of the easiest loft conversions, it turns your existing space into an office area, single bedroom or additional living room. An eaves loft conversion doesn’t require any structural changes to your Brighton home. It simply makes the most of your existing loft, reducing project redundancy and the need for planning permission. Why choose Milosh Loft Conversions? Fixed price quotation with a breakdown of cost at each stage. We do not demand hefty sums up front. Great customer service that continues after your project is completed. Fully insured to £10,000,000 for employer’s liability and £1,000,000 for public liability. 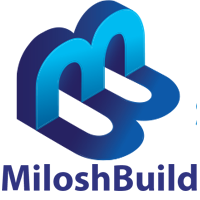 We send you a quotation after a Milosh Loft Conversions representative has visited your Brighton property to conduct a site survey. You will receive a comprehensive quote within a week. The quotation is valid for three months. I have signed the contract. How quickly can you start? It depends on the permits and regulations that might be required for a loft conversion. We usually start within 2 months after you sign the contract. How long will it take to draw up the plans? It takes about 4 weeks from the date you signed the contract to draw up a plan and for the client to agree to a set of plans. Will I need to change my existing door during a loft conversion? No. your doors can remain if it’s a fire resistant door. We will also fit the room with a smoke detection system. Can you make my loft conversion eco-friendly? 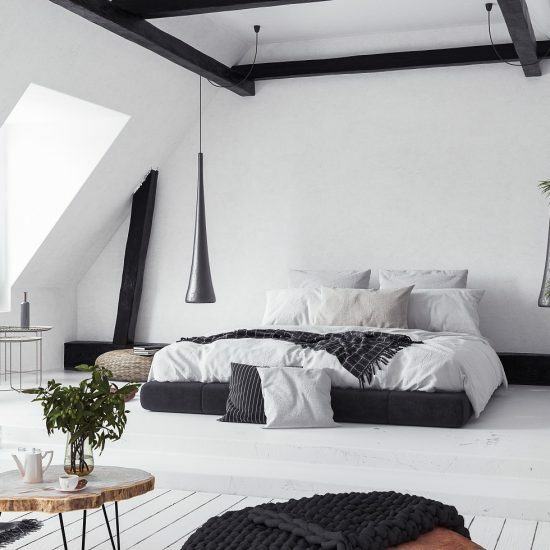 For loft conversions, eco-friendliness means following a process and using materials and components that are not harmful or toxic to the environment. As an eco-friendly company, Milosh Loft Conversions can use sustainable materials upon request. We will use timber instead of brick or concrete for the walls of the loft. It is cheaper and environmentally friendly. Instead of throwing the old roof tiles away, we recycle them for new roof work. We also use recycled shingles or purchase shingles recycled from rubber and wood fibre. We can also have your guttering and plumbing set up to collect rainwater in the toilet tank for flushing. It reduces water waste and is cost-efficient. Inside the room, we use energy-efficient LED bulbs that are brighter and last longer than regular bulbs. Your built in storage is made from sustainable timber and the insulation materials are also environmentally friendly. 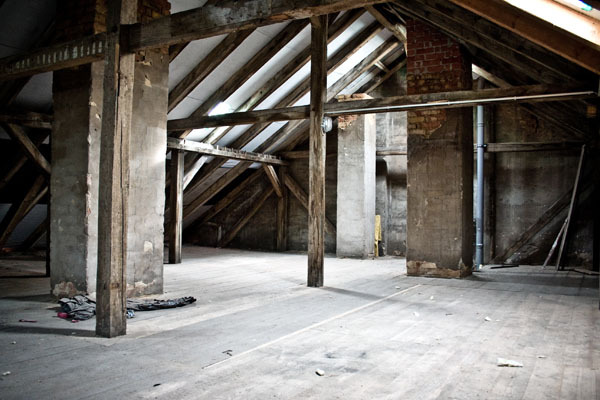 I live in a conservation area; can I still convert my loft? Houses in conservation areas and the environment itself have a special charm that adds to the beauty and preserves the history of the area. Sadly, this makes it difficult to carry out a renovation. You must apply for planning permission from the Brighton planning authority before carrying out a loft conversion. Permission will be subject to certain conditions. Considerations include the impact on parking, noise, the roofline, loss of light, nature conservation and privacy. 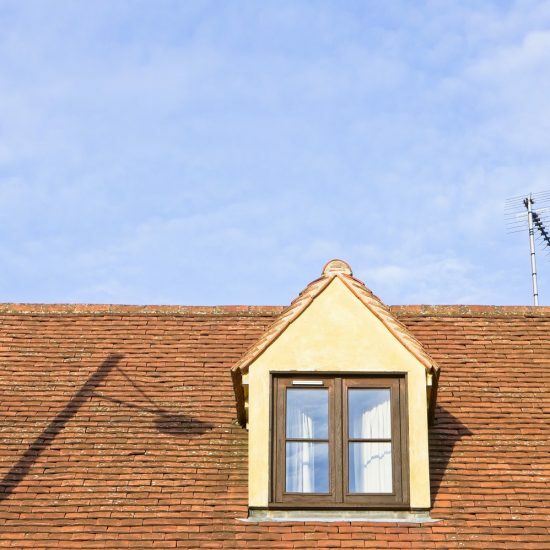 Failure to get approval or carrying out a loft conversion without approval is a criminal offence that carries a hefty fine of up to £10,000 or more. Can I convert my loft if I have a water tank there? Whilst most British homes have upgraded to the combiboiler, many still use a water tank. This is a problem for a loft conversion because the main objective is to maximise space. Your first option is putting the tank in a box. This is a simple and cheap solution that means hiding the tank so it doesn’t affect the aesthetics of the loft conversion. However, when you consider that a water tank affects the flow of space in the loft, it might be better to move the tank. You can move the tank to fit alongside the plumbing of the en suite bathroom or toilet, so it doesn’t affect plumbing. You could also relocate the tank to an eaves corner where no one can stand but accommodates the tank. It is a good way to utilize an unusable space. In most cases, we advise the client to remove the tank entirely and upgrade to a combiboiler. It is more efficient and takes up less space than a water tank. It is the best option for combining central heating and hot water systems in your home. It is cost-effective and delivers good pressure for hot water, eliminating the need for a cold water tank. The 1996 Party Wall Agreement is a framework for preventing and resolving disputes in relation to excavations, party walls and boundary walls between neighbouring buildings. When constructing a loft conversion, you have to notify your neighbours on either side of the party wall. Construction only moves ahead when they approve. If you designed and built a loft conversion without building regulations approval or getting the required permits, your loft conversion is illegal. This means you don’t have the certificate of completion from the building control officer which is usually awarded after a loft conversion project. It makes it difficult to sell your property when you want to move and renders the loft conversion valueless. How do I pay for my Brighton loft conversion? There are several options available to finance a loft conversion in Brighton. The first option is a cash buyer programme where you make instalment payments for your loft conversion from the signing of the contract to the final stage of construction. The second option is to re mortgage your Brighton property to access the funds that you need for a loft conversion. The third option is to use the buy now, pay later deal. You pay 50% of the cost of the loft conversion and spread out the remaining payment over a period of 12 months. Alternatively, you can use your credit card to pay for the loft conversion, leverage your savings, take out a personal loan if you have a good credit history or use the deferred and preferred method. You pay 50% upfront and spread out the balance over 60 months or 120 months at 4.9% APR and 5.9% APR respectively. Can you install a staircase with my loft conversion? This is usually one of the first parts to be completed in a loft conversion project. Our RIBA-certified architects will draw up a beautiful plan for your new staircase that maximises space in your home. The first option is a loft staircase installed over the existing staircase. It reduces the floor space taken up without affecting headroom. The second option is installing the staircase behind the chimney. We can also draw up a custom design to fit your specific needs. Will I need to move out during a loft conversion? No. Loft conversions happen in the roof. It doesn’t affect you in any way. You can go about your day with minimal disruptions. Factors determining the price of a loft conversion in Brighton include the type of loft conversion, the inclusion of framing carpentry, staircase installation, the level and quality of finish, complexity of build and custom design (if any). The cheapest loft conversion (room in the loft) starts from £15,000. A dormer loft conversion ranges from £20,000 to £45,000. Any loft conversion that requires raising or changing the roof structure such as a mansard or double mansard loft conversion starts from £40,000 upwards. You could request a custom package where the room is created offsite and installed in your loft. It is faster than rebuilding the roof or replacing rafters. It costs £55,000 upwards. We offer a 10 year guarantee for your loft conversion and we are fully insured for public liability. We can present the documents upon request. Can I soundproof my loft? Whilst a loft conversion is a great idea, the windows could also be a source of noise from the outside world. You also want to maintain your privacy and prevent conversations, music and sounds escaping from inside the loft. Soundproofing your loft is the ideal solution. It blocks sound from travelling in or out of the loft space. Areas to soundproof include the walls, ceilings, windows, floors and pipes. When do I need planning permission for a loft conversion? The materials used in the construction of the loft is not keeping with the appearing of the existing house. The volume of the new loft conversion is more than the limits allowed in permitted development. Currently, the limits are 50 cubic metres for semi-detached and detached houses and 40 cubic metres for terraced houses. The dormer extension will be facing the highway. The height of the new loft extension is more than the height of the existing roof. The loft conversion features side facing windows overlooking your neighbour’s property. The existing building is located within a designated area such as a conservation area, world heritage site, national park or an area of outstanding beauty. Most dormer loft conversions in Brighton fall under permitted development. Therefore, you most likely won’t need planning permission. Mansard loft conversion requires planning permission because it alters the roof structure. It is important that you know the limitations and specific conditions of a permitted development. Err on the side of caution by obtaining a Lawful Development Certificate from the local development authority. It is a certificate that proves your loft conversion is legal and could validate your loft conversion when you want to sell your home. There are several factors to consider here. Will you need a party wall agreement? Do you live in a conservation area? 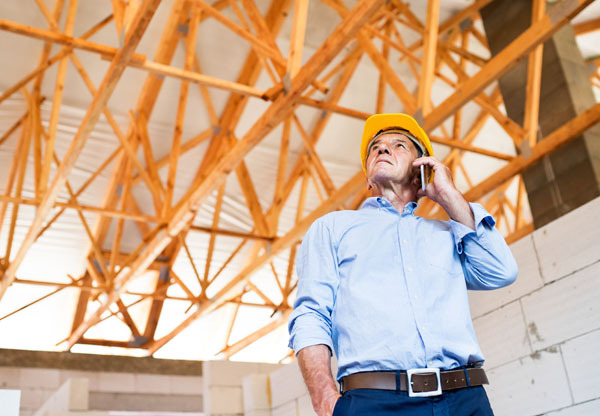 Have you chosen a design that requires altering the roof structure? If you say yes to these questions, we have to get all the permits signed first. It could take up to two months to complete. The actual timeline for the loft conversion after the design and planning stages depend on the type of loft conversion you want. A dormer loft conversion takes 4 to 6 weeks depending on the roof work requirements and overall size. Velux loft conversion is a simple job that doesn’t take longer than 4 weeks. A mansard conversion could take between 8 and 10 weeks. The hip to gable end conversion lasts 5 to 6 weeks. Should I expect any disruption during a loft conversion? Whilst many Brighton loft conversion companies will advertise zero disruption, we are more honest. There will be workers coming and going throughout the construction process. The noise might also be disturbing during the day. We attempt as much as possible to do most of the work outside and installation inside, to maintain minimal disruption. However, when compared to the disruption of a house move, a loft conversion is easier to put up with. A dormer or Velux loft conversion could be complete in six weeks. Meaning, the job will be done in the fastest time possible. Moving houses is difficult. If you lived in a good area with a great school, access to a hospital, easy commute to work and other elements that made your life easier, you would be reluctant to move. A loft conversion creates additional accommodation. Storage space is an issue in Brighton. A new loft conversion incorporates storage so you don’t have to cramp your living room, kitchen or bedrooms. With a new storage space that is out of the way. A loft conversion increases the value of your property by roughly 22% in Brighton and up to 25% in London. It is also a good way to improve energy efficiency in your home. By insulating your loft during conversion, you solve plumbing problems and save money on heating and electricity bills. The highest point of the roof, when measured from floor to ceiling, should be at least 2.3 metres high. Everything might hang low if the roof space has an overall shallow pitch, yet meets the height requirement. A dormer loft conversion is the way to go in this scenario. There are other options to consider if your loft doesn’t meet the height requirement. The design would have to accommodate lowering the ceiling below or raising the roof to allow for more headspace in the loft. This is a space under the roof of your house. It is turned into a livable area such as a play area, home office or bedroom, depending on your needs and designs. It is a great way to get extra space without moving house.